Many restaurants use their websites to effectively communicate and reach out to their new customers by showcasing the atmosphere of their restaurants and by providing quick information about the food they offer. Because of that, colorful layouts and elegant typography are used to please the eyes of the viewer. These are a few of the reasons that make restaurant websites a great place to find inspiring designs and to check out some nice ways of displaying photographs within the design. 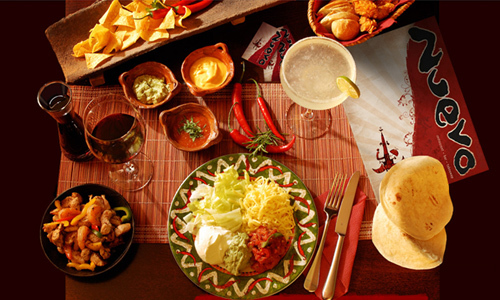 Every restaurant website conveys the sophistication and personality specific to complete each restaurant experience. A great restaurant website allows the customer to view menus and specials, find a location, and make a reservation or even sign up for a mailing list and any other ways that can both benefit the customer and the business as well. Whether a small, national franchising, or local restaurants, a good restaurant website always gives a significant impact on the business. The most basic way to present your restaurant is to show beautiful images of the food. 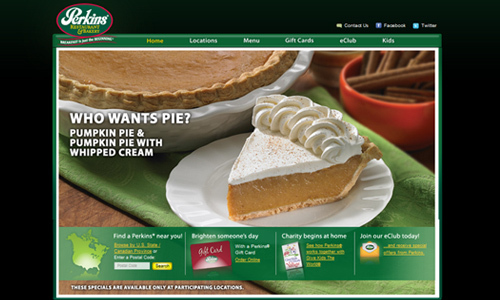 It is very noticeable that restaurant web design use images in a variety of ways to put the focus where it needs to be. The images which are more often all about the food, restaurant interior, friendly shots of the staff are usually presented in a full background or in a slideshow format. 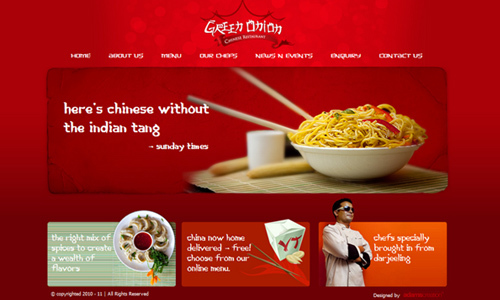 Here is An Appealing Showcase of Restaurant Websites for your inspiration. Try to browse the list to see the different presentation of sites with really inviting visual impact. Enjoy! 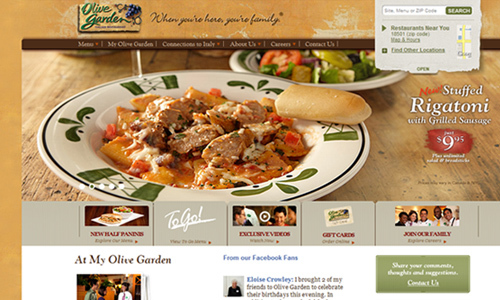 Olive Garden is an American restaurant chain with a wide variety of choices. Nature’s Table Café prepares menu that is fresh daily on the premises, using only the finest ingredients. 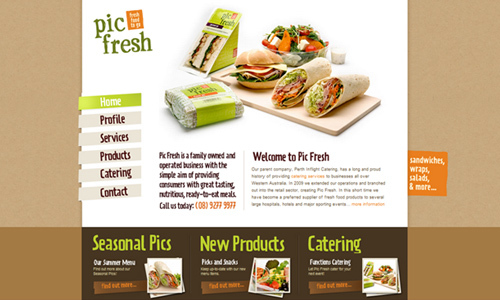 At Pic Fresh, you can find fresh ready to eat meals, prepackaged healthy sandwiches, wraps, salads for corporate catering including sporting events, etc. 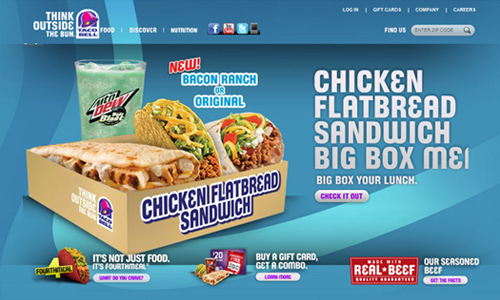 Taco Bell is an American chain of fast-food restaurants which serves American-adapted Mexican food. Perkins Restaurant and Bakery is a North American casual dining restaurant chain which is also offering pancakes and breakfast throughout the day. 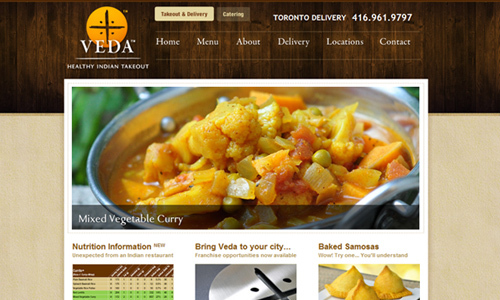 VEDA is a restaurant which provides high quality Indian food on a mass scale. Green Onion is a restaurant offering Chinese foods. 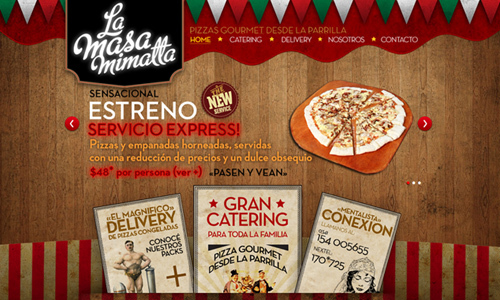 La Masa Mimatta is a pizza restaurant. 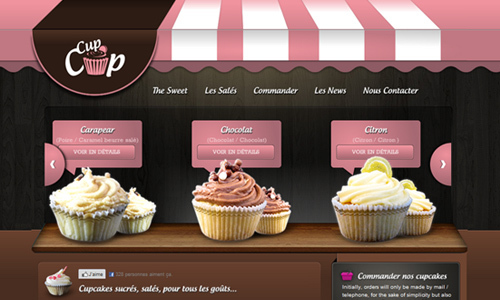 We Are Cupcup serves their specialty cupcakes. 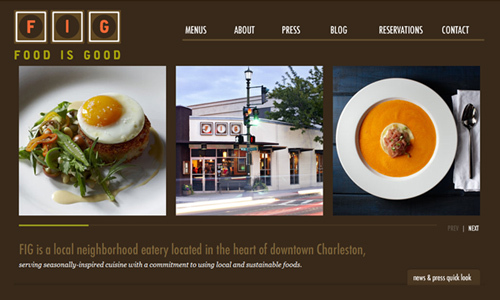 FIG is a local neighborhood restaurant in Charleston serving seasonally-inspired cuisine with a commitment to using local and sustainable foods. 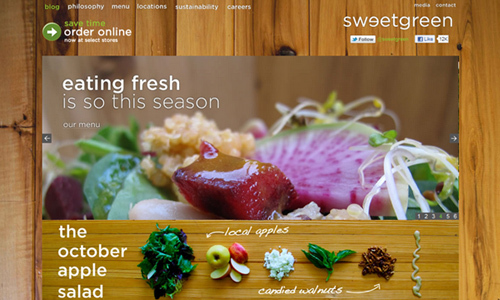 Sweet Green is a restaurant that serves salad and frozen yogurt. 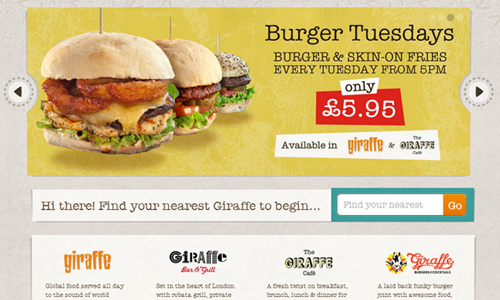 Giraffe restaurant serves a menu of brunch, burgers, stir-fries and salads. 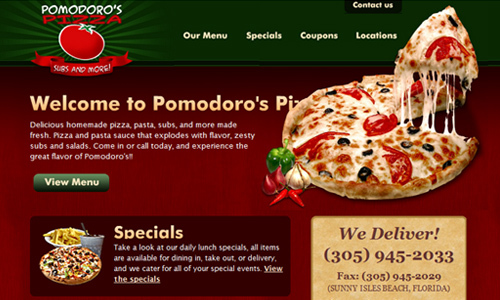 Pomodoro Pizza offers delicious and affordable pizza and other Italian foods. 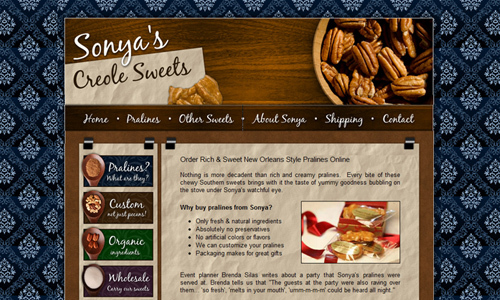 Sonya’s Creole Sweets is owned by a French-Creole speaking Sonya. 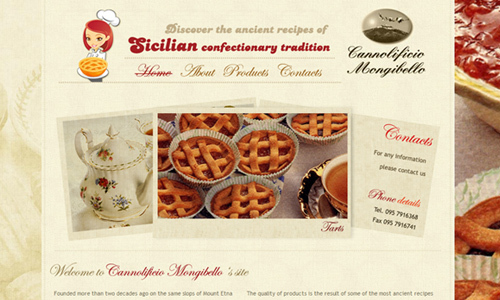 She offers her amazing brand of pralines for sale online. 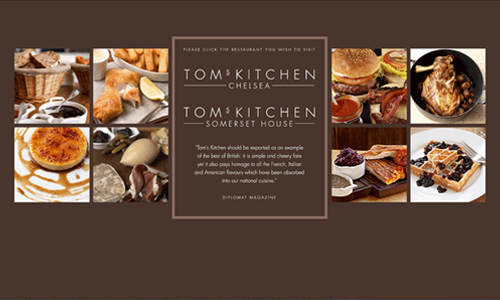 Tom’s Kitchen is a restaurant, bar, brasserie and private dining place owned by Tom Aikens. 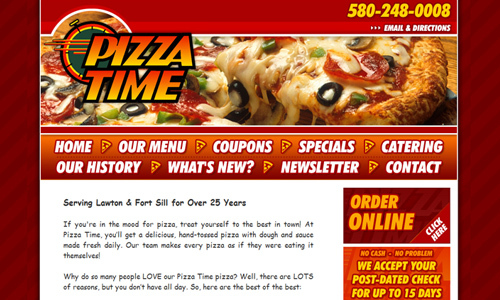 Pizza Time Restaurant first originated in Southern Oklahoma which serves tasty pizza and much more. 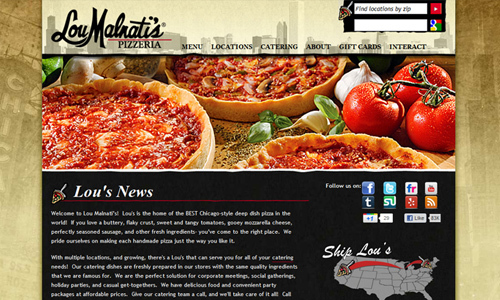 Lou Malnati’s Pizzeria is an American family-owned Chicago-style pizza restaurant which ships all your favorite Chicago food including Lou Malnati’s authentic Chicago-style deep dish pizza anywhere in the USA. 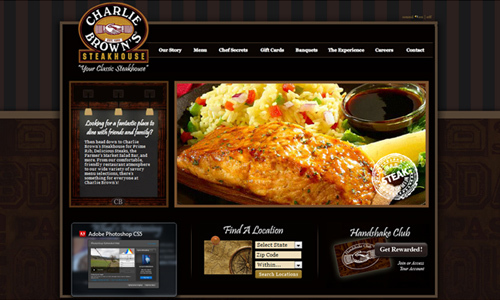 Charlie Brown’s Steakhouse is a regional American casual dining restaurant chain serving quality cuts of meat. 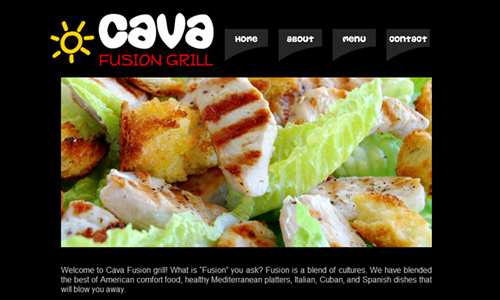 Cava Fusion Grill is a restaurant located in Houston, Texas which offers amazing fusion food. 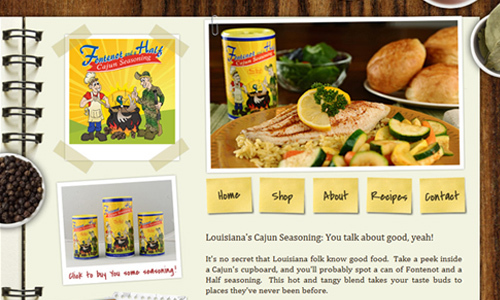 Fontenot and a Half is a restaurant located in Louisiana. 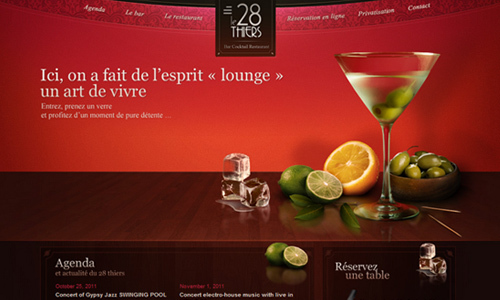 Le 28 Thiers is a classy bar, lounge, restaurant located in Lille, France. 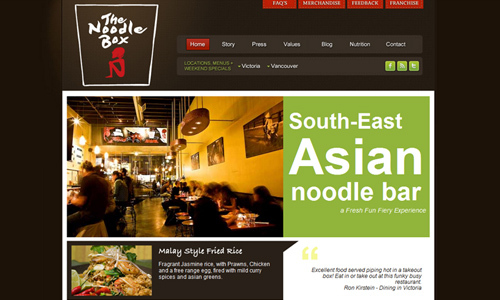 The Noodle Box is an Australian stir fried noodle fast food chain founded by Josh James and David Milne. 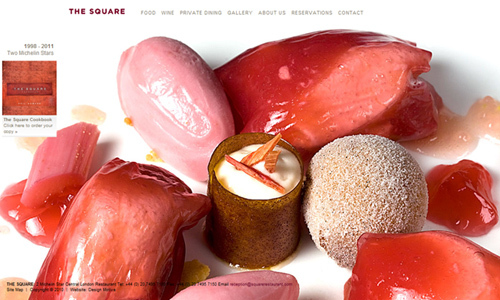 The Square Restaurant offers Asian and International food cuisine. 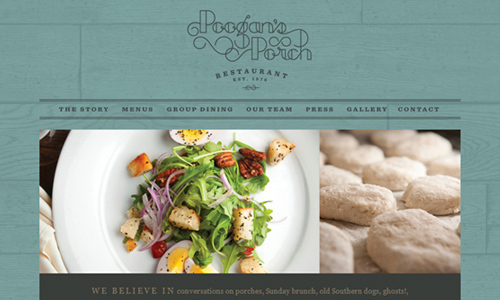 Poogan’s Porch is one of Charleston’s oldest and most reputable culinary establishments offering awesome foods. 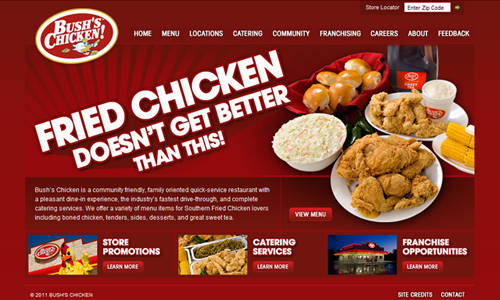 Bush’s Chicken is a small fast food restaurant which serves fried chicken. 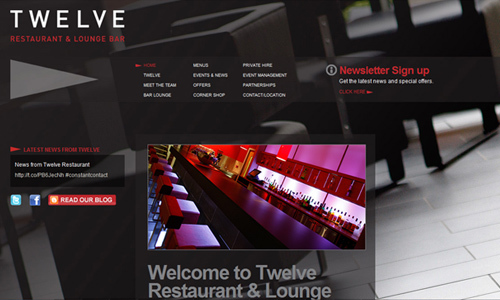 Twelve Restaurant & Lounge Bar serves fine food and drink in Lancashire. 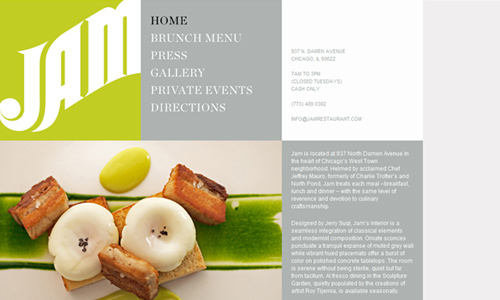 Jam Restaurant is a place that offers contemporary, yet affordable breakfast nosh. yummy! 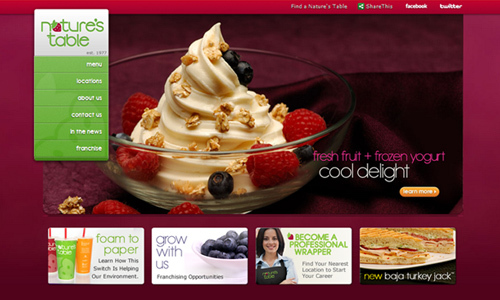 the background design makes you want to visit the site..
Suparb designs….how much will you charge to create a website for food industry?